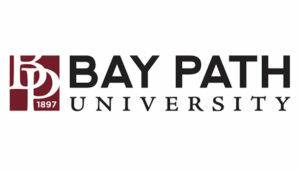 Bay Path University is also featured in our ranking of the Top 15 Online Master’s in Forensic Accounting. Bay Path University allows both undergrads and graduate students the chance to earn accounting and finance degrees. Undergrads can apply to the university’s Bachelor of Science in Business with an emphasis in accounting. Those students can do internships with KMPG, Wolf & Company and other major companies. As an accelerated program, it allows students to finish their studies in only three years. Students can also complete the graduate accounting program in one additional year. An alternative to the accelerated accounting program is the online Bachelor of Science in Business. Available from the American Women’s College, it includes a number of business and accounting classes, including Legal Environments of Business, Federal Income Tax Concepts, Financial Reporting I, II and III and Introduction to Financial Accounting. The university also offers a unique Accounting on Saturdays program that allows students to take classes just one day a week. This program is only available on the Longmeadow campus, but students can take courses in Sturbridge if they also take some online courses. Bay Path University also offers a Master of Science in Accounting, which is a completely online accounting program. Unlike traditional programs that start at the beginning of one of three semesters, this program features shorter courses and has start dates in the middle of select months. Ranked as one of the best online accounting programs, it offers concentrations in forensic accounting, private accounting and tax accounting, which includes courses in both taxation and auditing. The university designed this flexible program for students who have no experience and those with more experience. Transfer students can graduate in just eight months, but students can spend 12 to 24 months working on their degrees depending on whether they are full-time or part-time students. Though the courses they take will change based on their concentrations, students will typically take courses such as Advanced Financial Reporting, Advanced Cost Accounting and Contemporary Issues in Accounting. 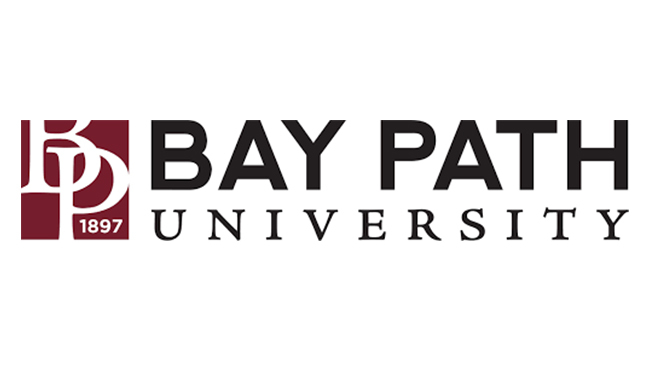 Bay Path University is a unique university that offers coeducational programs and some programs just for women. Established as the Bay Path Institute in 1897, it was originally a coeducational business school that offered courses in accounting and other business principles. Though only 30 students signed up for classes in the school’s first year, this number would quickly double and then triple. As enrollment grew, the school used its funds to acquire several other campuses in Massachusetts that it would incorporate into its system. Enrollment grew during the 1930s due to the accelerated programs offered by the school, which granted students credit for their practical experience. Other names used by the school before it became Bay Path University include Bay Path Secretarial School, Bay Path Junior College and Bay Path College. Known as BPU and Bay Path today, the university has a campus in Longmeadow, which was originally a women’s college. The American Women’s College still operates on that campus today and offers opportunities for women who want to learn with and from other women. The classes and programs offered by that college do not admit men. BPU also has a campus in Sturbridge that offers a small number of programs and a campus in Concord that offers programs in psychology and education. To continue helping its female students, Bay Path University holds an annual Women’s Leadership Conference that brings in female lecturers from around the world. The occupational therapy program offered by BPU has accreditation from the American Occupation Therapy Association (AOTA) and its Accreditation Council for Occupation Therapy Education (ACOTE), which is an example of program accreditation. It also has regional accreditation through the New England Association of Schools and Colleges (NEASC). Not only can BPU students apply for financial aid because of that accreditation, but it also allows them to easily transfer credits into their degree programs or to another university. Students who want to earn a spot in the accelerated accounting program or the 3 + 1 program must meet additional requirements. They need to have a GPA of at least 3.0 and submit a writing sample that explains why they want to complete their studies at an accelerated rate and why they want to attend BPU. The university also asks that those students complete an interview with a faculty member from the business department. Undergrads will also need to submit their high school transcripts and the university’s application. There are five general admissions requirements for students applying to the MS in Accounting program. They need to have two references fill out a letter of recommendation form and submit it to the university. This form is available on the admissions website. They also need to submit a recent resume, the completed application for grad school and transcripts from any of the colleges or grad schools they attended. The university recommends a minimum GPA of 3.0. All prospective graduate students will also attend an interview with a BPU faculty member too. It’s important that students look at the cost of attendance at BPU because it helps them see the total amount of financial aid that they need. All undergrads pay $34,225 per year for tuition and fees, but they also pay a room and board rate of $12,799, which gives them 12 meals each week and a room shared with one other student. BPU offers health insurance for an additional $2,311 each year too. Graduate accounting majors pay $830 per credit hour. Those students can also purchase health insurance coverage from the university. The average financial aid package awarded to undergrads is more than $36,000, and more than 95% of all undergraduates attending BPU receive an aid package. To get that aid, students must use the BPU code when they fill out the FAFSA. The university offers a $4,000 grant for undergrads who enroll in one of its graduate programs, but it also offers merit aid that provides students with $25,000 a year. BPU recommends that students submit the FAFSA at least three weeks before they start classes. It provides information for students looking at loan options, including federal and alternative loans. Graduate and undergraduate students can also use military benefits and tuition reimbursement programs to pay for the accounting programs offered by Bay Path University.